Leaving France behind we’ve arrived in Belgium. 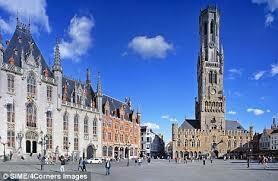 The first city we will look at is the lovely Bruges, the capital of West Flanders located in northwest Belgium. It has so much to delight visitors with canals, cobblestone streets and medieval buildings. The city’s port Zeebrugge is an important center for European trade and fishing. In the very center of the city at the Markt square you can go on horse-drawn carriage rides. At the square you can also delight in the 17th century houses that have been converted into restaurants and cafes. There is also a 13th century belfry with a tower that offers fantastic views all around. 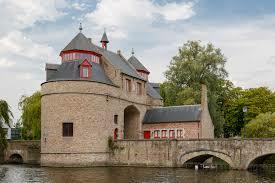 You’ll find the Museum St. Janshospitaal housed in the restored chapel of a 12th century hospital building. The museum displays old medical instruments, hospital sedan chairs and a rather unique 1679 painting of an anatomy class. 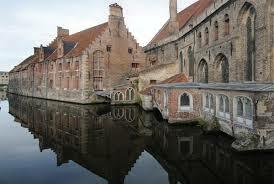 However the museum is better known for six masterpieces by 15th century artist Hans Memling. 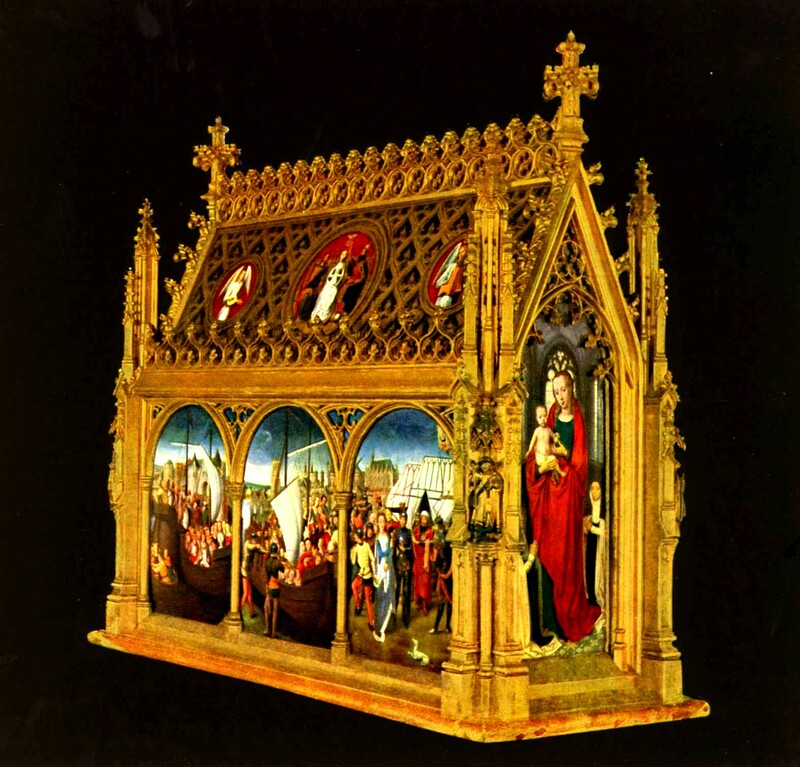 These artworks include the reliquary of St. Ursula made of gilded oak resembling a mini Gothic cathedral with painted scenes from the life of St. Ursula. Included in these scenes are realistic Cologne, Germany cityscapes. The largest artwork of Memling on display is the triptych of St. John the Baptist and St. John the Evangelist, commissioned by the hospital church as its altarpiece. Visitors can also see the hospital’s restored 17th century pharmacy. 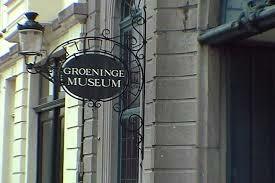 The most celebrated art gallery in Bruges is Groeningemuseum featuring Flemish Primitive and Renaissance artworks. In room two visitors will find meditative works among them Jan Van Eyck’s 1436 masterpiece Madonna with Canon George Van der Paele and the Madonna by the Master of the Embroidered Foliage in which the rich fabric of the Madonna’s robe meets the “real” foliage at her feet in intricate detail. Of interest is the Townscapes and Landscapes room with artwork by Jan Anton Garemijn and Auguste van de Steene. There are also Flemish Expressionist artworks from the 1920s showing the influence of Cubism and German Expressionism on Flemish artists. The heart and soul of the city is the historic Markt Square. This is a large open square surrounded by medieval-style buildings. There are horse-drawn carriages and open-air restaurants. In the center of the square is a monument to Pieter De Coninck and Jan Breydel who were the leaders of the Brugse Metten. Overshadowing everything is the fantastic belfry. 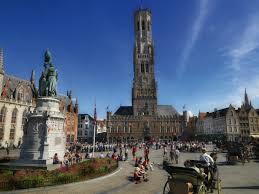 The Belfry of Bruges a medieval bell tower stands 83 m over the square dating back to the 13th century. It is really worth the effort to climb up the 366 step to get awesome views from the top. The belfry has a 47-bell carillon which is still played manually. Onze-Lieve Vrouwekerk or Church of Our Lady is a 13th century church with an huge tower. Inside visitors can view the 1504 Madonna and Child statue the artwork of Michelangelo. Worth viewing is also the Adoration of the Shepherds by Pieter Pourbus. In the church’s apse you can see wonderful 15th and 16th century artwork and the stone and bronze tombs of Charles the Bold and his daughter, Mary of Burgundy. The area of Bonifaciusbridge and Arentshof is most charming. Arentshof is located along one of the picturesque canals with tall trees and hidden benches. It offers a wonderful view of the Church of Our Lady and Gruuthuse Palace. Here you can watch tourist boats go by, watch people wander about and listen to the clop, clop of the horses drawing the carriages. The ancient Bonifaciusbridge dates back to the early 20th century. 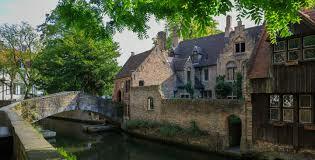 It is amazing to see the Brugse Vrije that was once the palace of the “Liberty of Bruges”, the large autonomous territory and administrative body that ruled Bruges (1121 – 1794). A great part of this building is used for city offices but visitors can see the former aldermen’s room, the marble fireplace and alabaster frieze, an impressive detailed oak carving. The carving depicts Emperor Charles V waving a sword. He is flanked by his grandfathers, Ferdinand of Aragon and Maximilian of Austria. 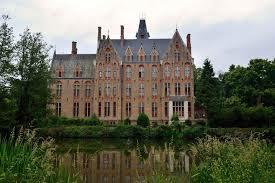 Some 6 km from Bruges is the Neo-Gothic Loppem Castle that was built in 1859. This is the only castle in Belgium where the architecture and the interior have been preserved in their original condition. Here you can view wonderful art collections and the castle is surrounded by a romantic park that has ponds, a maze and caves. 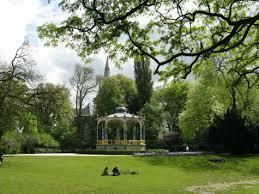 For a place to relax and spend some quiet time head for Koningin Astridpark. This park is located right in the city and the surrounding trees and bushes makes it feel like it is secluded from the outside world. There is a tiny lake and a colorful kiosk. 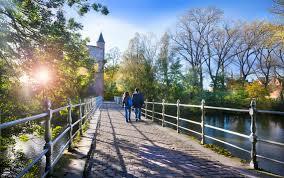 Take the time to discover the Bruges’ City Ramparts. At this green space you can see the four remaining windmills and several medieval town gates. The modern Conzettebridge spans the entrance to the small marina and it’s one of the many bridges that is often open for boats. For leisurely strolling there are the ramparts between the train station and Ezelpoort town gate. The Ezelpoort or Donkey Gate was built in 1297 during the construction of the second ring of ramparts. 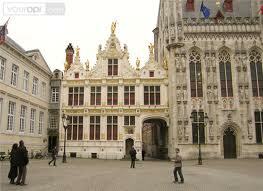 It was rebuilt in 1369 and given a new design by Jan Slabbaerd and Mathias Saghen. The lower section of the gate is authentic. Wow! Stunning. You lucky things. Are you going to Holland and Amsterdam ? There are few places as beautiful as Bruges, still Brussels is my favorite city in Belgium. thank you for the lovely photos and article! 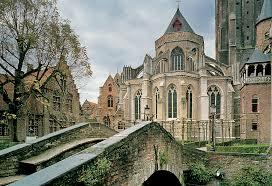 As you know, I am not the worlds greatest traveller, but Bruges is one place that I really could be tempted to visit. What intrigues me here, are the fabulous old buildings. How on earth did they survive two World wars…? I’m very glad that they did…!